[S782] JR Reid, Ancestors of Mary Ann Gillis #4141, page 8. [S782] JR Reid, Ancestors of Mary Ann Gillis #4141, page 9. [S782] JR Reid, Ancestors of Mary Ann Gillis #4141, page 11. [S782] JR Reid, Ancestors of Mary Ann Gillis #4141, page 29. [S782] JR Reid, Ancestors of Mary Ann Gillis #4141, page 7 & 9. 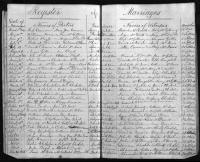 [S783] JR Reid, Ancestors of Donald James MacFarlane #0001, page 7. Birth*: Isabella MacDonnell was born circa 1800. 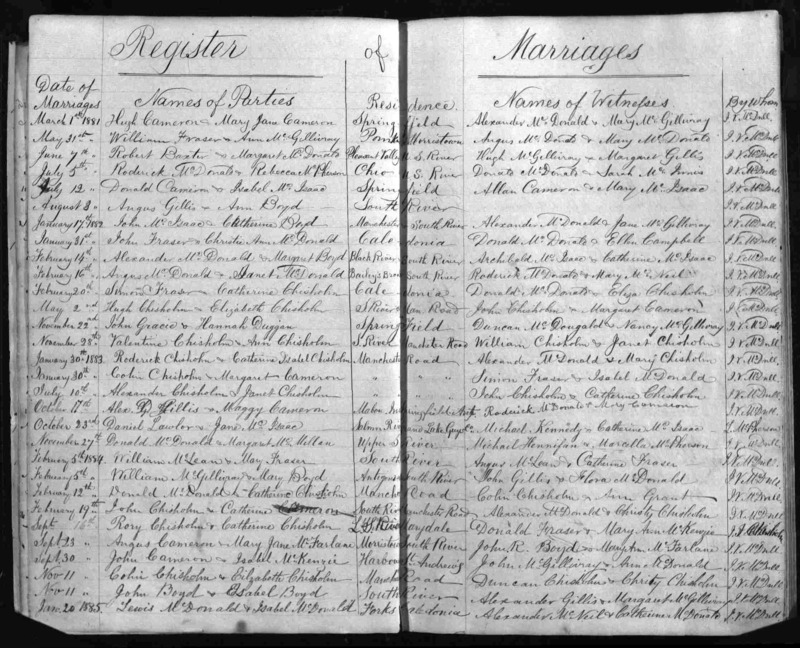 Married Name: As of circa 1818,her married name was Gillis. [S784] JR Reid, "JR Reid to DMF," e-mail to Donald James MacFarlane, December 30, 2012. [S742] The Peerage, online thepeerage.com, Janet Borthwick. Biography*: "Red" JOHN MacLELLAN was born in Morar, Scotland, and came to Cape Breton around 1821. He was the third settler at Black Glen (Glenville) and he died there before the 1871 census. He was first married in Scotland to (1) _________ MacDONALD, with issue: I. Farquhar, II. Donald. His second marriage , also in Scotland, was to ANNE (NANCY) GILLIES (c.1790- ), one of six sisters who eventually came to Canada. [S924] Rev. George Hill, The MacDonnells of Antrim, page 36. [S924] Rev. George Hill, The MacDonnells of Antrim, page 38. [S746] Wikipedia, online http://Wikipedia.com, https://en.wikipedia.org/wiki/John_Cathanach_MacDonald,_4th_of_Dunnyveg. Biography*: John Mor MacDonald (e. 1499) was a son of Donald Balloch MacDonald and Johanna, daughter of Conn O'Neill of Edenduffcarrick. He was the third chief of Clan MacDonald of Dunnyveg. With his father, he signed the Treaty of Ardtornish in October 1461, which proposed that Scotland be divided between King Edward IV of England and James Douglas, 9th Earl of Douglas. He succeeded to the chieftainship of the clan after his father died at Islay in 1476. In 1493, with John of Islay being required to forfeit his title of Lord of the Isles and paid homage to King James IV of Scotland, the King garrisoned and provisioned Tarbert and Dunaverty Castle with Royal forces in 1494. Sir John MacDonald, whom the king had recently knighted and to whom and John had rendered homage, retook Dunaverty Castle just as the King was sailing for Stirling. The dead body of the castle's governor was hung over the castle walls in sight of the King and his departing entourage. The King, infuriated by Sir John's actions, declared Sir John a traitor and he was summoned him to Edinburgh for treason. [S746] Wikipedia, online http://Wikipedia.com, https://en.wikipedia.org/wiki/John_Mor_MacDonald,_3rd_of_Dunnyveg.